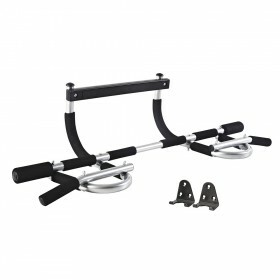 IRON GYM® CHIN UP BAR is essential home training equipment. 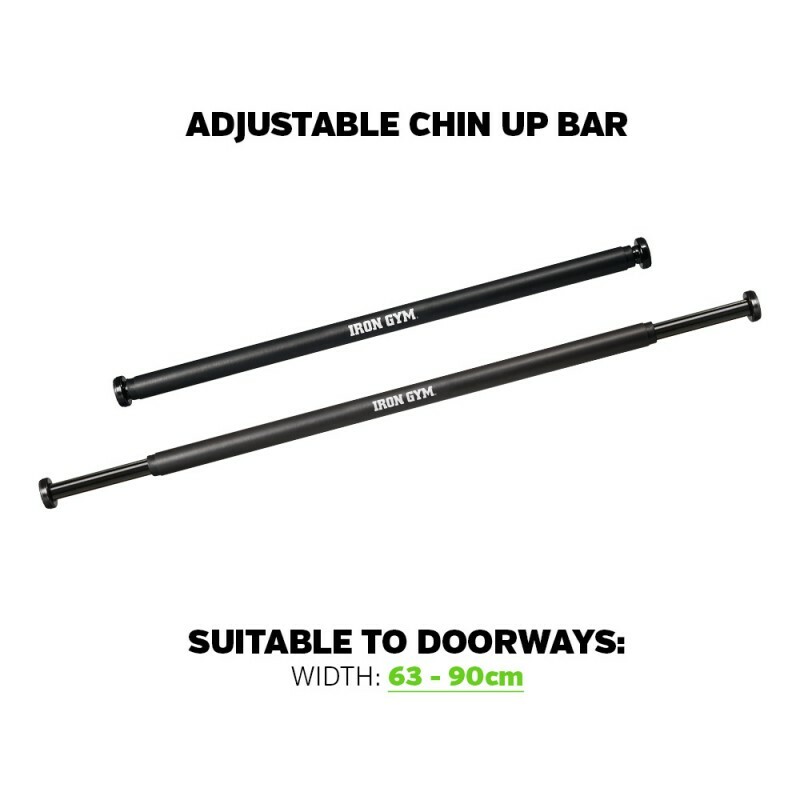 Adjustable construction enables the chin up bar to be fitted into any standard door frame. 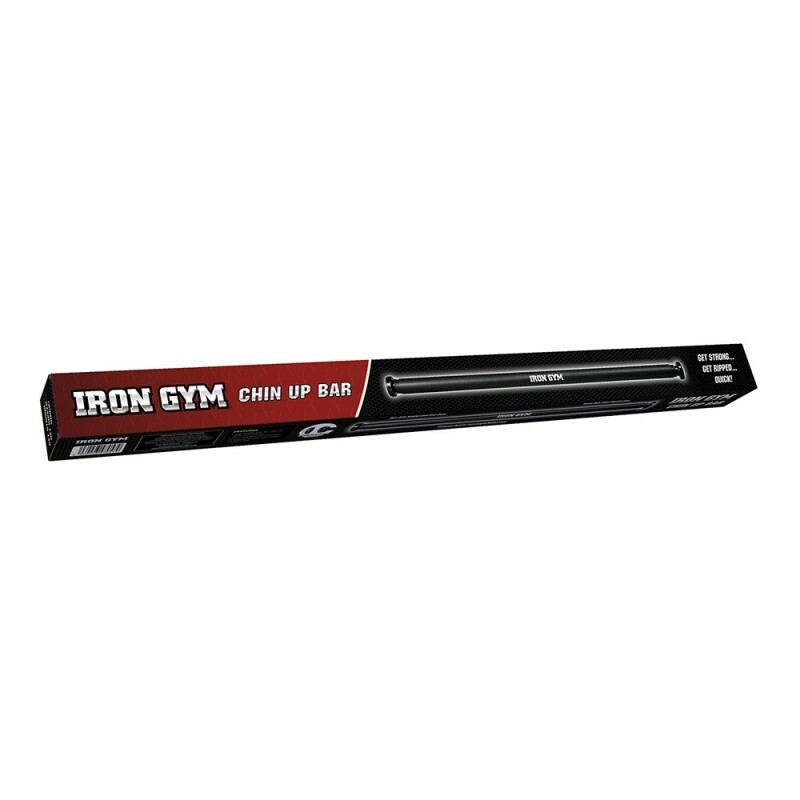 Allowing you to strengthen and tone your biceps, back muscles, arms, shoulders and abs. Including pulling exercises to your training program is essential for gaining balanced physique, that has reduced risk of injury. Pulling exercises are often neglected by easier to perform pushing exercises. Strengthening backside / pulling muscles is important in achieving muscular balance, and healthy posture, especially for one who sits, travels, and drives a lot, so get your chin up bar now! 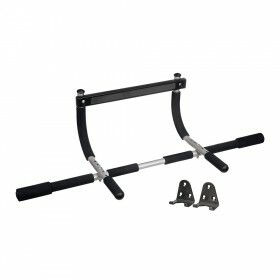 Chin up bar is the number one home training item. 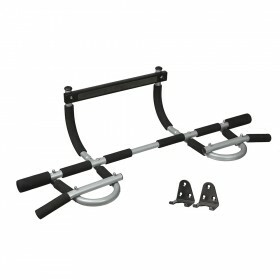 For many of us, the first contact in home training has been the chin up bar, which is fitted securely in to doorway. You see the bar, and you feel the urge to touch it, and hang, maybe perform few chin ups, when walking by. 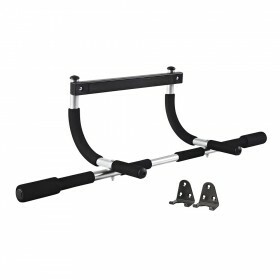 For households with children, chin up bar is the best option to provide children as well as the adults an easy to access training equipment. Children like to hang on the bar, and even though they could not perform a full chin up, they are still strengthening their critical back and arm muscles, securing healthier physique for the future. 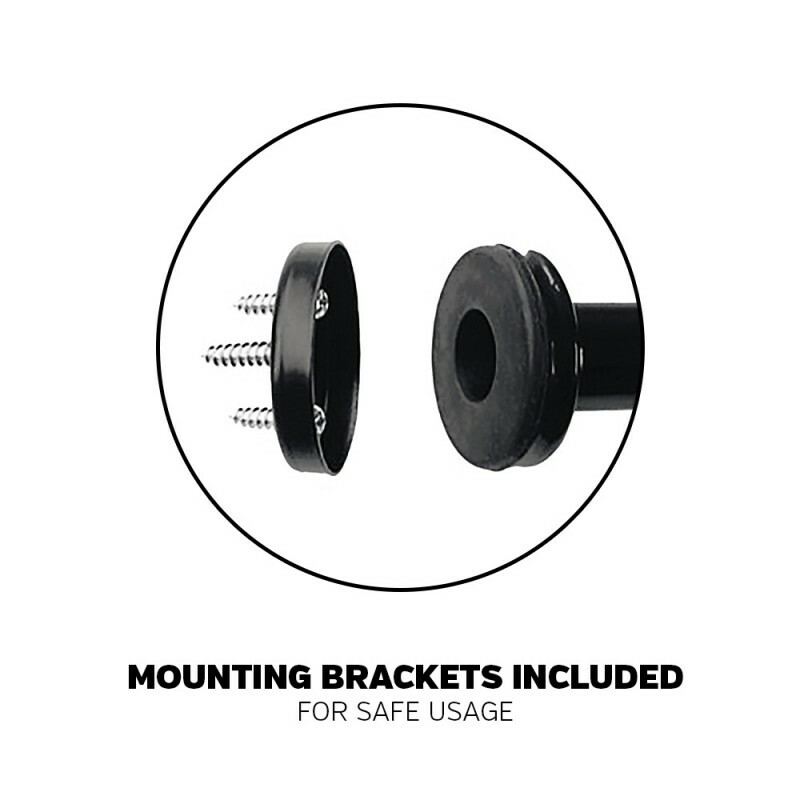 Mounting Brackets - For secure use!